While I'm aware that this exists: https://www.drupal.org/project/owlcarousel , lately I am often tasked to render content in code, rather than via views, DS, etc. 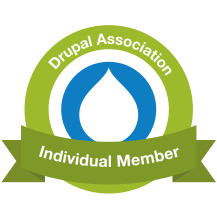 Are you a Drupal developer living in the Denver, CO area and have thought, "Boy, I wish I could create the front end (or at least the structure), while creating the back-end or adding content."? Join me today at Open Media where we'll be talking about using the Bootstrap responsive framework in Drupal, along with a couple helper modules to make your dreams come true. Read more about Responsive Menus update adds Sidr support and more! Read more about Responsive Menus version 7.x-1.3 is out!